Emma is the Head of CBRE’s Global Workplace Solutions for Pacific, based in Sydney. 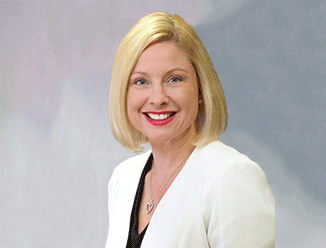 Emma Forster Mitrovski's primary responsibility is the leadership of the corporate outsourcing business segment, which serves corporate occupiers across Australia and New Zealand. Emma’s role forms part of the Pacific Executive Committee and wider Asia Pacific Global Workplace Executive Committee. The Global Workplace Solutions business at CBRE is the world's largest provider of outsourced real estate solutions to corporate occupiers. Our business works closely with clients to develop solutions that make real estate a meaningful contributor to organisational productivity and performance. In her role, Emma will lead experienced teams across Australia and New Zealand to deliver exceptional, integrated end-to-end solutions to clients that address their complex strategic, tactical and operational portfolio requirements now and into the future. Emma’s brings extensive experience delivering industry-leading facilities and project management, transaction and portfolio services, and consulting that drive bottom-line impact and streamline workplaces across all asset types. Emma brings over twenty years’ experience in leadership roles within the property sector in Australia and New Zealand as Executive Director and Board Member of Five D Holdings, Executive General Manager at UGL Services, Executive Manager at Colonial First State Property, National Infrastructure Manager at PwC and most recently in her capacity as Executive Director and Head of Corporate Real Estate at Broadspectrum Property. Emma provides strong operational and strategic planning capability, business development, sales and marketing experience, along with process improvement and organisational change management expertise for both corporate and government clients. During her career Emma has developed expertise in implementing a wide range of strategic real estate solutions within the Financial Services, Commonwealth and State Government, Pharmaceutical, Telecommunications and Not-for-Profit sectors. Emma has also served on several boards as Executive and Non-Executive Director within the indigenous services, property, construction and leadership space.